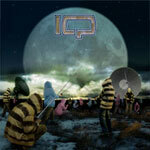 Once hailed in the 1980's as one of the prime movers in the UK neo-progressive rock movement (with Marillion, Pendragon, Pallas and others), IQ has persevered with strength to develop consistently creative music and a large loyal following. Without doubt, those very fans (myself included) will be pleased with IQ's latest venture, Frequency. Frequency, generally, is a bit lighter, yet highly progressive, overall than most IQ works. There was a time when guitarist Mike Holmes directed IQ towards a heavier riff driven sound, and you will find some of this, albeit briefly, on songs like Stronger Than Fiction or the longer The Province. Definitely gone, and for quite sometime now, is the more commercial radio-friendly sound that hampered (or helped depending on your druthers) albums like Nomzamo (1987) and Are You Sitting Comfortably? (1989). Even the shortest song One Fatal Mistake, though more AOR than prog, does not have mainstream written all over it. Therefore, Frequency could be best described as lengthy and intricate compositions wrapped in an airy atmospheric feel with generous guitar solos but more prominent keyboard craftsmanship on most every song. The latter is quite evident on Ryker Skies, a pure 70's keyboard-laden prog manifesto (and probably not my most favorite track.) As I said before, I believe long time fans will be very pleased with Frequency.